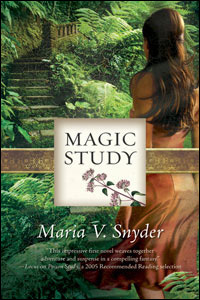 Maria V. Snyder changed careers in 1995 from being a Meteorologist to a Novelist when she began working on her first novel, Poison Study. 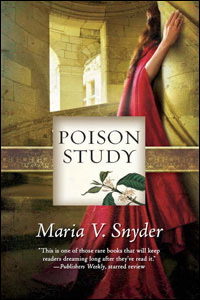 Published in October 2005, Poison Study won the 2006 Compton Crook Award for Best First Novel, won the Salt Lake Co. Library's Reader's Choice award, was a 2005 Booksense pick, was nominated for four other awards, and received a Starred Review from Publisher’s Weekly. She has also published numerous freelance articles in regional magazines and in local newspapers. Teaching fiction writing classes at the local college gives her the enjoyable opportunity to encourage novice writers and to keep improving her craft. Born and raised in Philadelphia, Pennsylvania, Maria attended 12 years of catholic school before going to Penn State University to study Meteorology. Earning a Bachelors of Science degree in Meteorology, Maria discovered, much to her chagrin, that forecasting the weather wasn't one of her skills. She found employment in the environmental field as an air quality scientist, and it was during those years that she began writing. 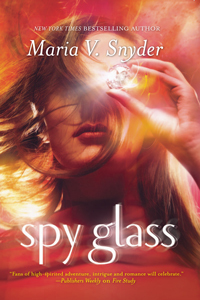 After writing many science fiction short stories, Maria started Poison Study, her first novel about a food taster. 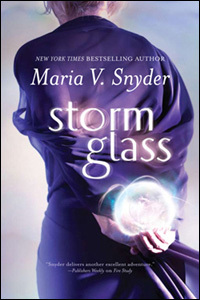 I (Patricia) chose Maria because I have absolutely fallen in love with her books. 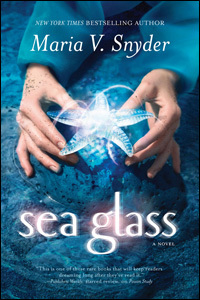 I started with the Study Series and then moved on to The Glass Series. What a wonderful, magical and imaginative world she has created. I love the progress and evolution of the characters throughout both of these series. Not to mention that I fell in love with Valek. 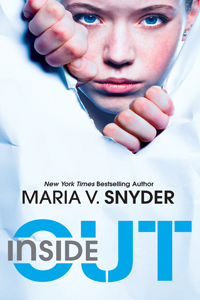 I most recently read Inside/Out. Talk about wow factor. This book totally surprised me in the end. I can often see where a book is going but not this one. I was so happy to find this awesome twist. 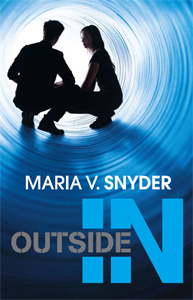 I am very much looking forward to reading Outside/In which comes out March 1, 2011, Harlequin Teen. 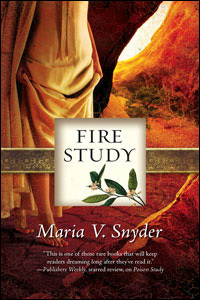 Maria's writing is incredibly descriptive without it becoming a bore. When I read her books I feel like I am a part of that world. Whether I am in some magical place with Yelena and Valek or crawling through pipes with Trella. Thanks, Maria, for such great stories. I can't wait to see what else you come with. When I get the time I'll be sure to read your reviews to choose my next book. Our featured author of the week Adrian Phoenix!! !